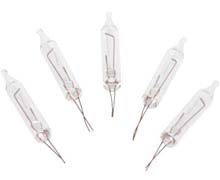 Warm white flame style LED light bulb for use in chandeliers and sconces. 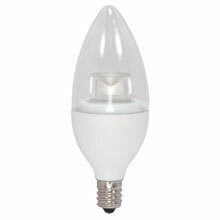 This flame tip LED lamp is equivalent to a 25 watt incandescent lamp but only uses 2 watts of energy. 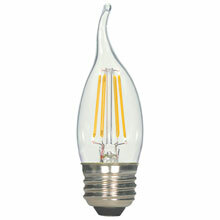 The clear finish and warm 2700K LED filaments give a traditional look ideal for homes and commercial areas. Dimmable with electronic low voltage (ELV) dimmers.